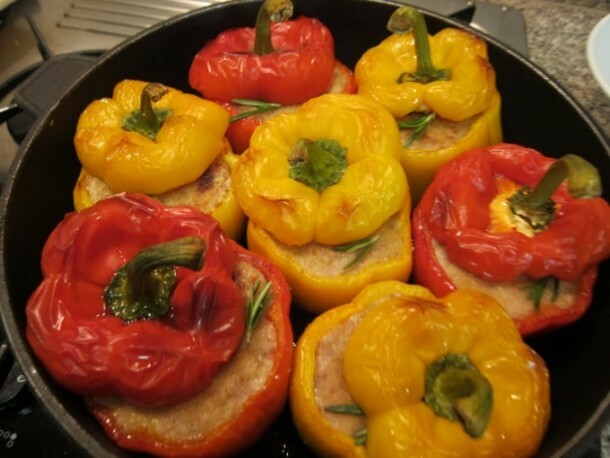 Home » 5 Summertime Pepper Recipes You Can’t Miss! 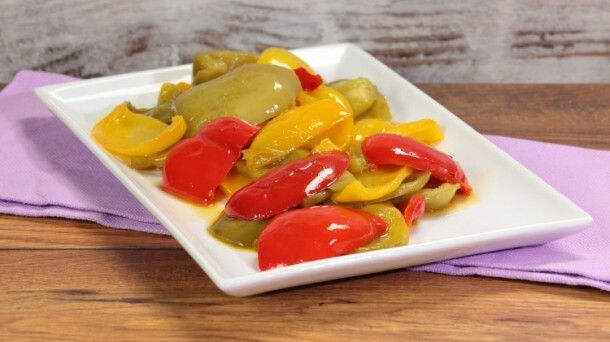 Peppers are amazingly delicious and flavourful and are a very versatile ingredient. Moreover, they are full of vitamin C, B and beta-carotene and are a significant source of calcium, magnesium, iron and mineral salts. Here is our selection of five delicious pepper recipes that can be easily prepared at home and taken everywhere, from the park to the beach, so you can enjoy your meal al fresco. Enjoy! Step 1. Wash and towel-dry the peppers. Cut out a third of each pepper and remove the seeds inside. Dice up the third of each pepper that you removed and cook the diced peppers in a pan with a spoonful of olive oil and the garlic clove. Step 2. In the same pan put another spoonful of olive oil and let the rest of the whole peppers cook for a few minutes. Step 3. Meanwhile, dice the cheese and place it in a plate where you will have already put the breadcrumbs and oregano first. Add the cooled off, diced peppers and the chopped olives and fill the peppers with this mixture. Step 4. Place in the oven at 200 degrees for 20 minutes. Serve on a plate with a sprinkle of olive oil. Step 1. Wash and towel-dry the peppers, cut the top part off and set aside. Scoop out any remaining seeds. Step 2. Wash the tomatoes and cut them in halves, deseeding them then dicing them up. Step 3. Wash and chop the parsley. Heat the stock and in a pan, fry the chopped with half of the olive oil. Add the tomato and let it stir-fry a few minutes. Add the rice and let it fry for a few more minutes. Step 4. Next, add the hot broth little by little and cook according to the time on the box. Step 5. About 2 minutes before the rice has finished cooking, add the parsley and the salt. Turn off the hob, add fresh pepper and let the rice cool off. Step 6. Get your peppers ready, oil them and set them in an oven tray. Fill them with the rice and put the tops back on that you had set aside. Finally, cook them for 45 minutes at 180 degrees. Serve by decorating with parsley and a drizzle of olive oil. Step 1. Prepare your stuffing: finely chop up the tofu, the courgette, the red onion and the basil and mint leaves. Add capers and place everything in a bowl adding salt and olive oil. Leave for 10 minutes. Step 2. Cut the peppers in halves and take away the seeds and filaments from the inside. Wash and towel-dry them while preheating the oven at 200 degrees. Step 3. 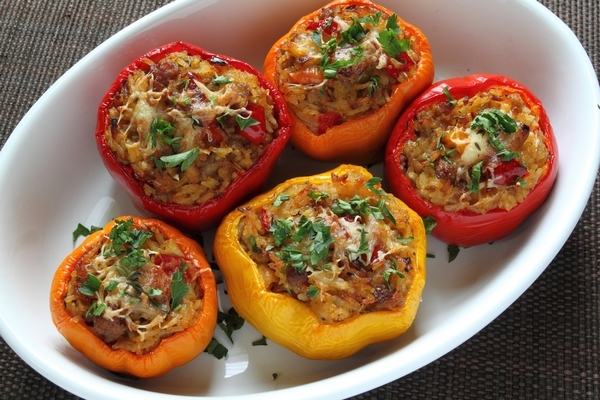 Fill the peppers with the stuffing and place them on an oven tray. 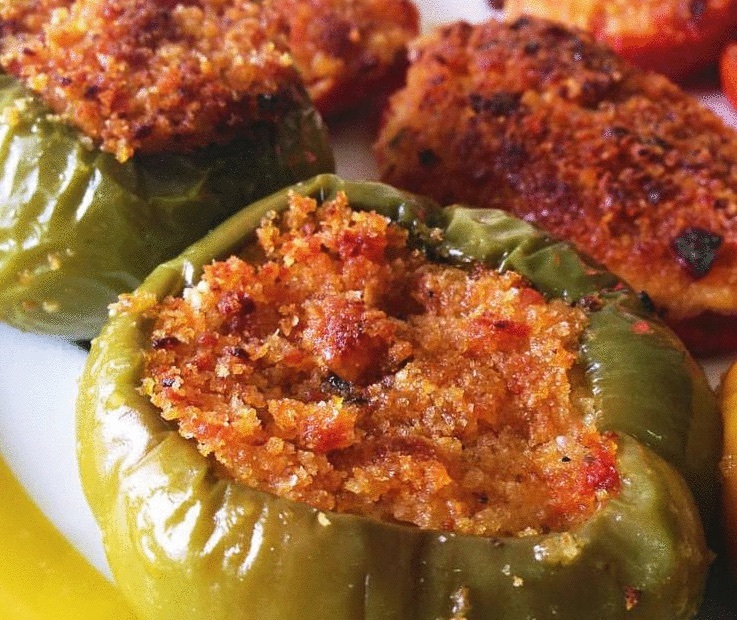 Sprinkle them with breadcrumbs and cook for about 30 minutes at 180 degrees. Step 1. Cut the peppers in half and set them aside. Remove the seeds and filaments from the insides. Step 2. Cook the cous cous following the instructions on the box. Set aside. Step 3. In a pan place a spoonful of olive oil and let the chopped onion fry gently. Add the finely chopped courgette and carrot and cook until nice and soft. Turn off the hob; add the lemon zest and the cous cous, salt and pepper, mix together well. Step 4. Stuff the couscous mixture into the halved peppers, transfer to a oven proof dish and bake for 20-25 minutes at 180 degrees until the peppers are soft and just starting to char at the edges. Step 1. 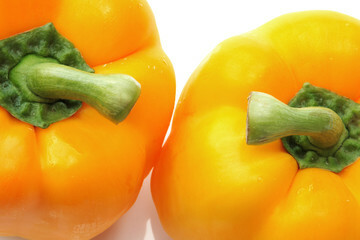 Wash and towel dry your peppers, cut them in half and take away the stems, the seeds and the internal filaments. Step 2. Cut-up the peppers into slices and then cut these into rough squares. Step 3. In a pan put two tablespoons of olive oil and the garlic. Let the garlic become slightly brown then add the peppers. Step 4. Cook them on a high heat for about two minutes then lower the temperature and add the salt and basil. Cover the pan and cook for about 15-20 minutes on a low temperature, mixing everything with a wooden spoon from time to time. Serve as a tasty and colourful side dish. Most of these pepper recipes can be adapted to your taste by adding vegetables you love, of course you can add meat if you want to bulk out the recipes a little too! 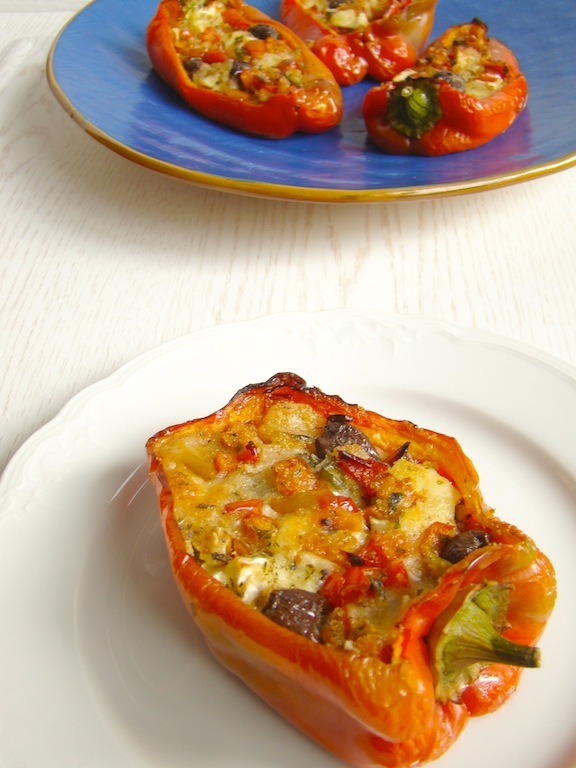 Please share your favourite pepper recipes with us and we will add them to our blog!